Version 2 features Straight Pool, 14+1, 3, 8, 9 ball, Snooker, Pyramid, American, Rotation and DeathMatch games. Ball graphics and movements are perfect; you can make any English or masse shot. Play with 9 computer opponents or live friends over network, thus maintaining the realism of championship style pool! Online Pool Club is a bonus.Live Billiards 2 now supports Windows 10. Choose whether to play with computer opponents or with your live friends. Play with computer and listen to its unusual comments as you play. Feel the realism of billiard championship! Get as much scores as you can and win the game, using six extra cues.Offline gameplay: 1-9 playersMultiplayer: YesESRB Ratio: Everyone (6+)Extras and features:a) Most popular pool games: Snooker, Straight Pool, 14+1, 3 Ball, 8 Ball, 9 Ball, exotic Pyramid and Rotation game.b) Five table designs.c) Six different cues.d) Network mode.e) Two ball sets. Updated physics for english shots, artwork and sounds. Win 10 compatibility. 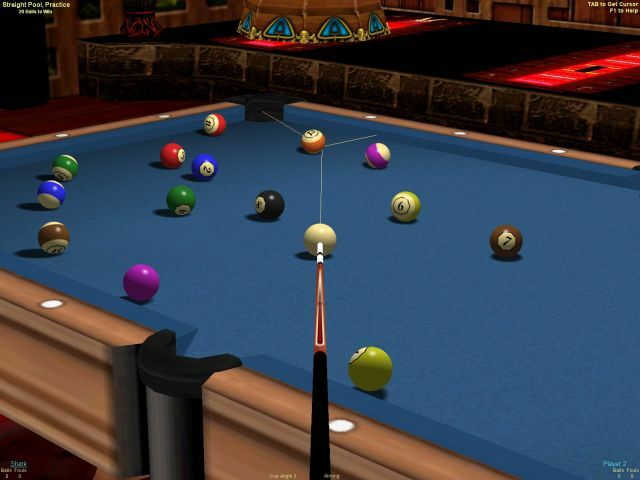 online, 3d, pool, billiards, free, demo, download Version 2 features Straight Pool, 14+1, 3, 8, 9 ball, Snooker, Pyramid, American, Rotation and DeathMatch games. New physics allow performing English or Masse shots. Play with 9 AI opponents or by network, or online club, feel the real life pool!